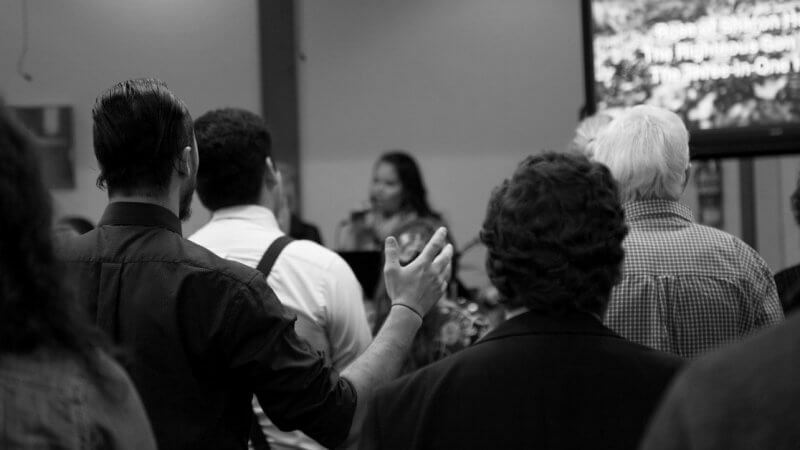 Church size should not determine the amount of effort we put into our worship services. Truth is, someone who leads a church of 100 has no less of a call on their life than someone who leads in a church of 10,000. We are all valuable and making a difference in our communities. So, don’t settle for mediocre – even in a small church. We should all be fully pressing in to the gifts God has placed inside of us. Excellence is a byproduct of a healthy team. 1. Develop an on-boarding process that protects your team from those who don’t belong. For my team, what this looks like is first an application must be completed and an audition scheduled. In the audition, I am not looking for perfection, but I am looking for natural talent. If it is not there, I help them find somewhere else in the church to serve. For those that pass the audition process, they enter into a 90 day probationary period where I closely examine their level of commitment. Do they show up on time? Are they prepared? If issues arise during these 90 days, it is vitally important to communicate so they have a chance to fix them. If it still doesn’t work out, time to find somewhere else they can serve that doesn’t require as much commitment. 2. Fire volunteers who don’t care. I get a lot of flack for saying ‘fire volunteers’, but truth is, sometimes it’s necessary. If someone is always showing up late and unprepared, and shows no sign of improvement after addressing the issue, it’s time to cut off the dead weight. Otherwise your team will suffer. The worship leader should always be prepared and organized. Rehearsal should always be productive and start and end on time. You should go overboard serving your team with great communication and providing all the resources they need to be effective, such as chord charts, MP3s, etc. Never stop cultivating worship team culture. If you have ever worked a garden, you know how much work it is to keep plants thriving and the weeds out. None of it happens on autopilot. Pay with gratitude. Don’t ever miss an opportunity to point out the good things. Make it a point to focus more on the good than the things that need to be fixed. Be organized. The best way leaders can show that they care is by running an organized team. It is fun to be a part of something that is well thought out. Respect time. When rehearsal is scheduled from 6 to 7, start at 6 and end at 7. No exceptions. Show your volunteers that you value their time. Listen. Volunteers have good ideas. Don’t be so busy barking orders that you don’t take time to let others input their perspective and ideas. Serve the team. When the leader is all about serving the team, the team will be all about serving the team. When you employ these five things, you’ll end up with a worship team that feels it is a blessing to be a part of the team, not a burden. Hold high expectations, even for volunteers. As a worship leader, the most you’ll get out of your team is what you expect. If you expect less, you are going to get less. And a lot of leaders don’t expect much from their volunteers – after all, ‘they are just volunteers’. But, we could easily replace this phrase with ‘they are just serving God’…which brings a whole new perspective to the issue. We all work with volunteers, but this is no excuse for them to be lazy. It only takes one lazy team member to kill the motivation of the rest of the team. So, be very clear what is expected of every team member. First, they are responsible for learning their own part on their own time, before rehearsal. Second, they should be on time and focused during rehearsals. When expectations aren’t met, you must first examine yourself as a leader. Are you giving them the tools they need to thrive? Are you doing a good job communicating the expectation? Then, it is time to have a one-on-one conversation where you take time to point out the things they are doing well. Then, clearly communicate what needs to be fixed and give them a chance to fix it. If things don’t improve, it’s time to make a change. This post is a glimpse into my conversation with Alex Enfiedjian on the Worship Ministry Training Podcast. Be sure to listen to the full episode – you’ll enjoy it! Excellent podcast with valuable principles for any worship leader regardless of the size of their church. Right on!! If only I could pass this on without stepping on serious toes.